The West Bengal state government is all set to introduce a health insurance scheme for television artists and technicians of the state. 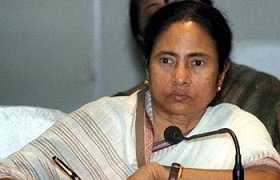 Speaking at the first ever West Bengal Telly Samman awards on Friday, the West Bengal Chief Minister Ms. Mamata Banerjee said, “Those who work in the television medium and are not in a stable financial situation to afford medical treatment, they will get free treatment under the mediclaim. The studio will be for TV channels." Along with the health insurance initiative, the state government has set aside a 6-acre plot of land at Baruipur in South 24-Parganas for a studio, exclusively for shooting television serials. The state government had already set up medical insurance schemes for the regional film industry (Tollywood) artists and technicians.